If you have the computer setup that has your PC on show and not tucked under a desk, this new Moneual Lab DSPC Dual Screen PC Case might be just the thing to enable you to add even more gadgets to your desktop. 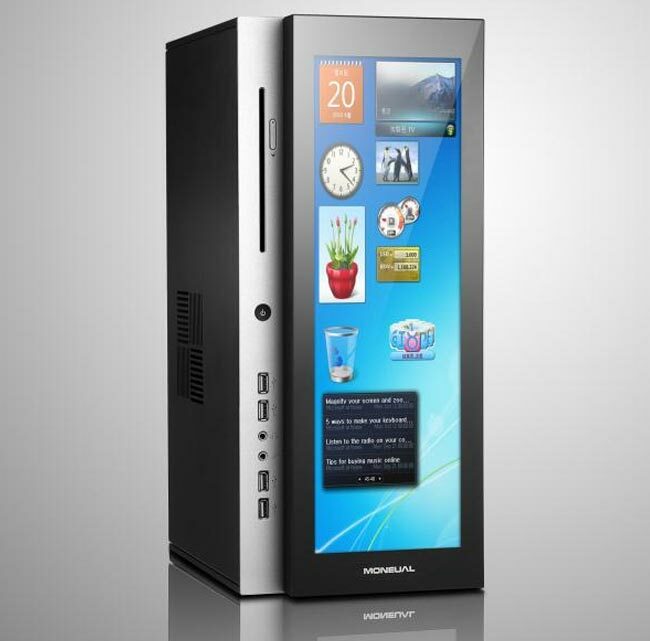 The tower case has a built in screen that can be used as a dual screen setup within Windows 7 and allow you to display Windows widgets and other applications, allowing you to free up your main working area. Technical specifications for the new Moneual Lab Dual Screen PC Case area a little thin on the ground and no details have been released about the resolution or if the screen it touch sensitive. Also no information on pricing or worldwide availability has been released as yet, but as soon as it becomes available we will let you know.